A beautiful home on Isle of Hope with lots of character and southern charm! 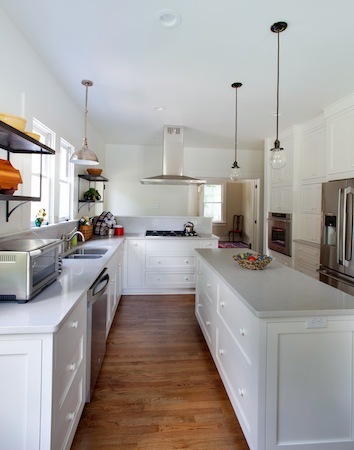 Many of our clients dream about their new kitchens for years, but few plan for as many years as this client. The owner on this project had been collecting images and compiling thoughts for several years. In fact, the image that we used as our main inspiration was from a magazine that she had been holding for ten years! If she has loved it for ten years, the odds are likely for her to love it in the years to come! We worked with the existing structures and used all of the space available to us. We even used the space between the studs on the knee wall! We have shallow depth storage space on the backside of the knee wall. Bathroom Cabinets – Vanities Should I Match Kitchen and Bathroom Cabinets?